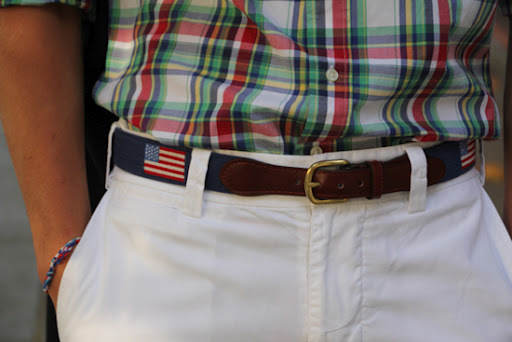 If you still don’t know what to wear for the 4th of July, here you go! Over your super sweet swimwear (try saying that five times fast), you could either do a dress, or a top and bottoms (see below). Sequin dresses (1) are always welcome for anything, especially the fourth. Striped dresses, like the Yves Saint Laurent Printed Tulip Dress (2), Chinti and Parker Striped Organic Cotton Mini Dress (3), Marc by Marc Jacobs Helga Striped Knit Dress (4), Romwe Navy Striped Sleeveless Dress (5), and the Melissa Odabash Jamie Striped Mini Dress (6) are perfectly fourth-y. Stars and Stripes, right? Forever 21 Polka Dot Dresses (7) and See by Chloe Denim Bustier Babydoll dresses (8) work well as well. If you want solids, go for Topshop’s Drop Waist Shift Dress (9) or Issa’s Eyelet-Embroidered Cotton Dress (10). If you want to go full-out-flag, Storets Stars and Stripes Dress (11) and BDG’s Knit Flag Print Dress (12) are your best friends. If you live in a hot climate or have great abs, I highly suggest wearing this Topshop Flag Bralet (1). If you want American Flag style: Equipment Stars and Stripes Silk Shirt (2) (which also comes in long sleeve, for the life of me I don’t know why it’s so expensive), Nasty Gal America Shirt (3), BDG American Flag Chambray Shirt (4), Hilfiger Denim Flag Print Tank, or the Haute Hippie Haute Hoodie Flag Poncho (6). You may get chilly waiting for those fireworks to start, so keep warm with the Current/Elliot Star print Denim Jacket (7), Juicy Couture Preppy Cable Pullover (8), Junya Watanabe Faux Leather and Organza Shrug (9)– ok, that one is more for show than warmth- Haute Hippie Woven Cotton Poncho (10) or Boy. by Band of Outsiders New Schoolboy Striped Linen Blazer (11). Moving on to the bottoms, you don’t want to be pant less. Or maybe you do, which is fine too. hey, it’s a free country. If you want to cover your legs, well, bum really, there are quite a wide variety of denim short options for you, including Rag and Bone Mila Shorts (1), J Brand Low-rise Denim Cutoff Shorts (2/3), Siwy Camilla Cutoff Shorts (4), Siwy Cutoff Shorts (5), Current/Elliott The Boyfriend Star Print Denim Shorts (6), J Brand Star Cutoff Shorts (7), Asos American Flag Print Denim Shorts (8), Topshop Bleach Flag Print Hotpants (9) and Anthropologie’s Bleach-Dipped Shorts (14). For non-denim shorts, the J.Crew Dapper Striped Shorts (10). If you want your legs to be covered, go for the J Brand 811 Mid-Rise Skinny Leg Jeans (11), Current/Elliot Star Print Skinny Jeans (12), J Brand 811 Mid-Rise Skinny Leg White Jeans (13), Sandro Poete Skinny Capri Jeans (15) or the Current/Elliot Stiletto Floral Print Cropped Skinny Jeans (16). Your legs will be happy campers. In case ya’ll didn’t know, Net-A-Porter is having it’s semiannual sale. So basically, it is my semiannual favorite time of year. Net-A-Porter’s sales are just the best, just like the Barney’s Warehouse Sale usually is. Miu Miu is having a particular good sale time, and as it is of my absolute favorite brands of all time, I figured what better time to do a nice little collage of everything I wanted! I only picked my top ten, elsewise you would be seeing the entire collection splashed across this post. I am disappointed, however, that the gold-flecked feather coat is sold out. I first saw that coat in Capri almost a year ago, and I am still obsessed. Oh well, I can still obsess over the Little-House-on-the-Prarie-meets-Picnic-table-cloth-meets-high-fashion dress.